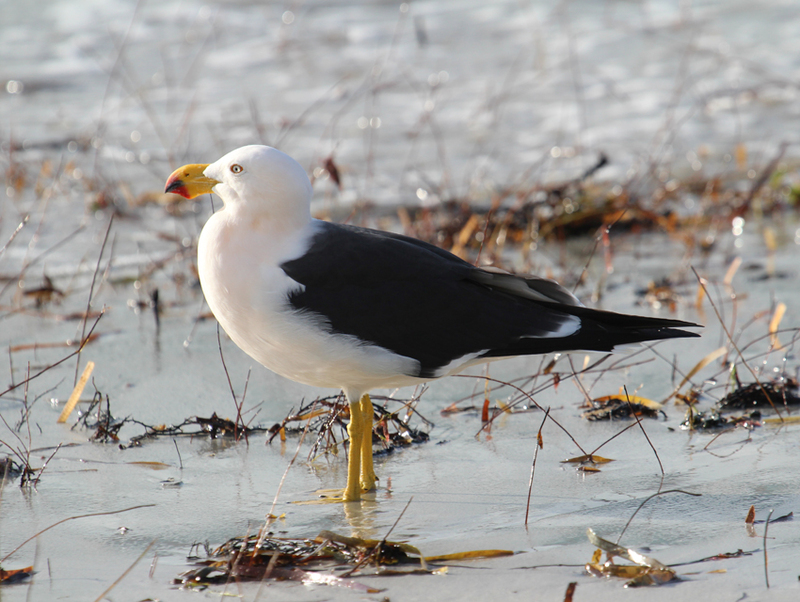 A lone Pacific gull stands on the beach amongst strands of washed up seaweed. It stares at the ocean for a while watching another gull wheeling and soaring above the waves then nonchalantly wanders along the tidal fringe foraging for invertebrates or whatever the sea has deposited. The long white sands of Pondalowie Bay are home to many species of birds and a fertile food source for many others. 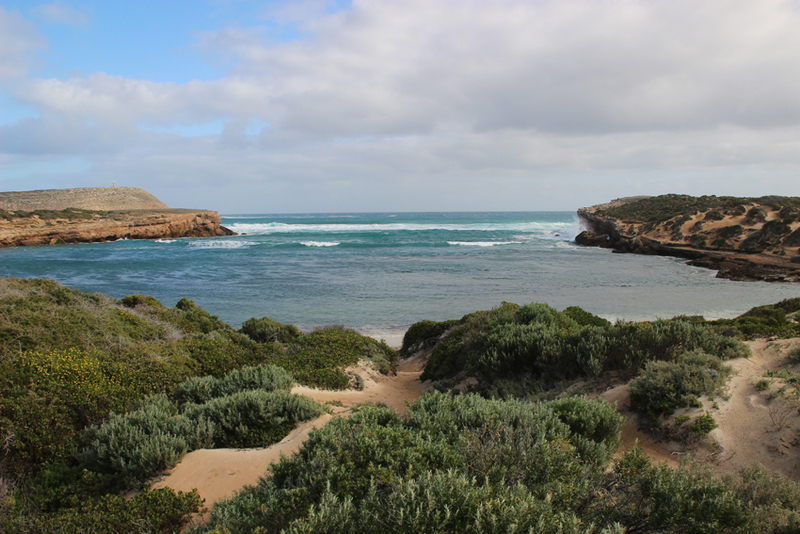 A leisurely four hour drive from Adelaide to this picturesque Bay on the western extremity of the Innes National Park is a favourite haunt of naturalists, fishers, divers and holiday makers. In fact; any traveller who enjoy that hint of wildness in their getaways will find this a wonderful destination. 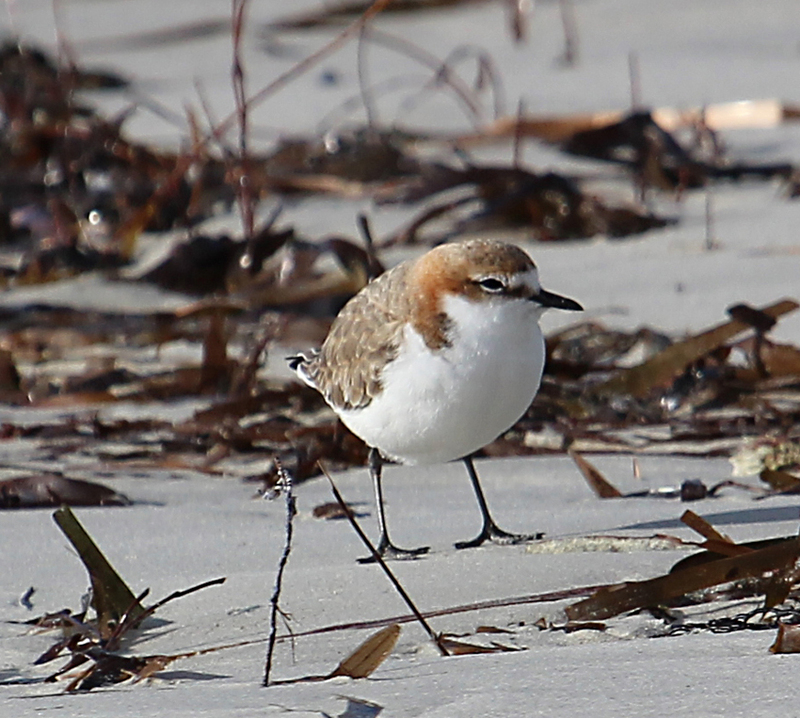 Further along the beach several species of tiny waders including dotterels, plovers and sand pipers scurry along the retreating waterline searching for tiny invertebrates such as worms, crustaceans and molluscs. Their little legs seem to rotate as they forage giving them the appearance of wind up clockwork toys. 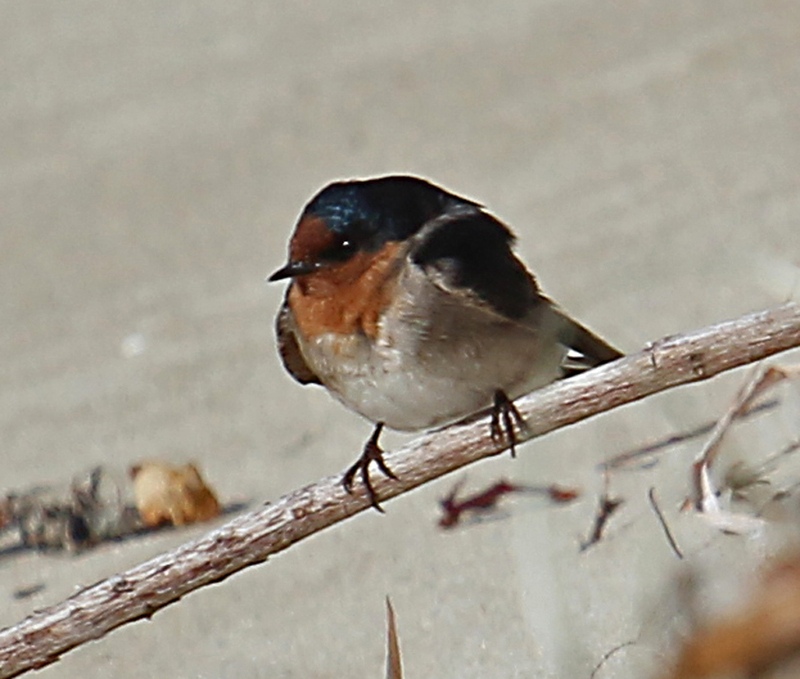 Swallows normally live further inland amongst the scrub and trees. However, the proliferation of insects infesting the beds of weed that are strewn along the high tide line has attracted quite a large number of these colourful little aerial hunters. Some are perched on driftwood as they rest between their forays above the weed while others perch in bushes close to the beach. In all honesty, my favourite beach dwellers are the oystercatchers. There are two species on the beach pied and sooty and it is a pair of sooties that I spend a few minutes focussing on. 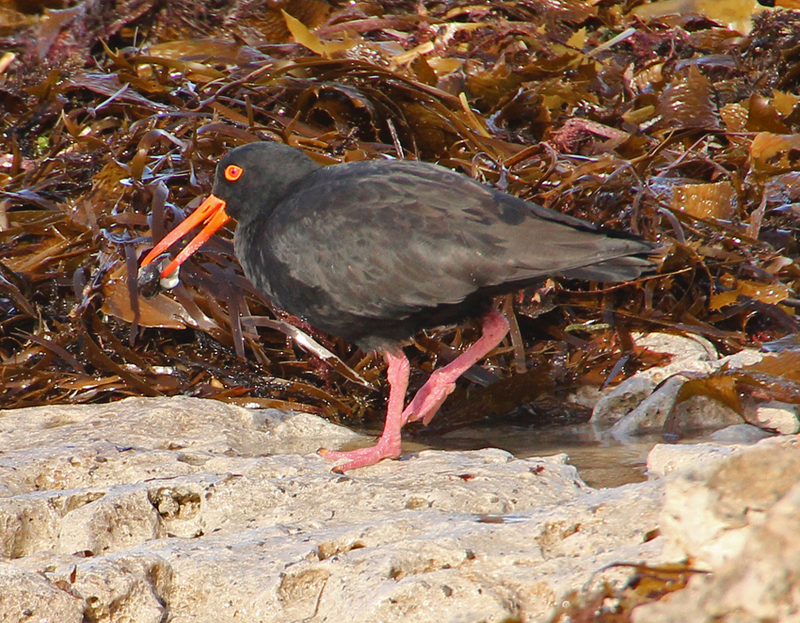 They use their long chisel shaped beaks to probe the sand or scrape molluscs off rocks and prise them apart. The bird closest to me has snagged a turban shell and is proceeding to split it open and consume the unfortunate critter within. From Pondalowie it is a good half hour drive back to Marion Bay where we are staying in a cliff-side holiday home and dinner at the local pub that serves the best pizzas and seafood I have eaten in a long time. This is an easy drive which is quite suitable for families and seniors with public toilets, barbecues, parking and other facilities at Marion Bay and Pondalowie. The trails leading from the main park road down to beaches and into the scrub are more arduous.